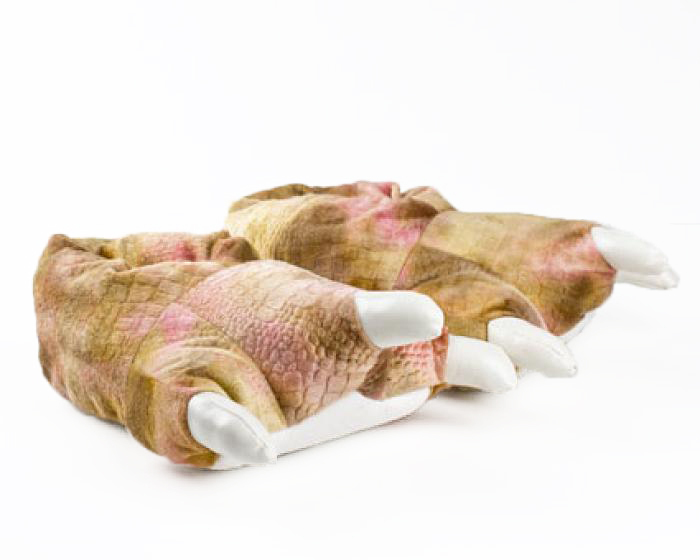 Go back in time with these awesome dinosaur feet slippers. Rendered in a washed out shade of lizard brown to lend the exterior a scale-like quality, they come complete with three raptor claws. 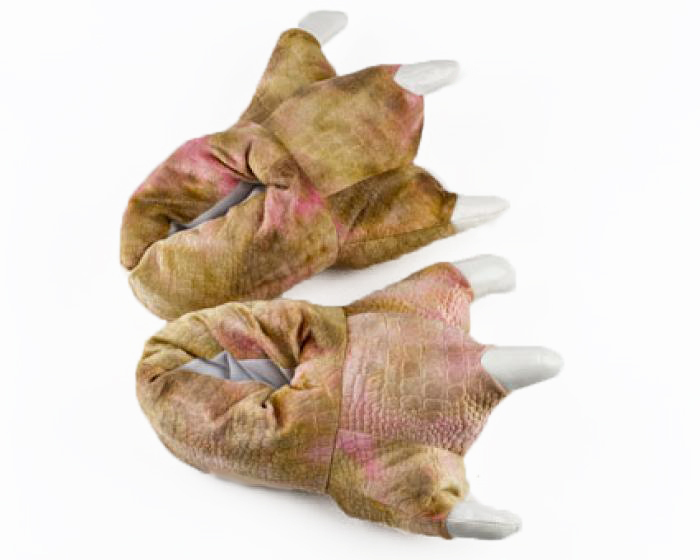 Not only are they wildly amusing, these brown dinosaur paw slippers also provide full coverage and thick, plushy soles. 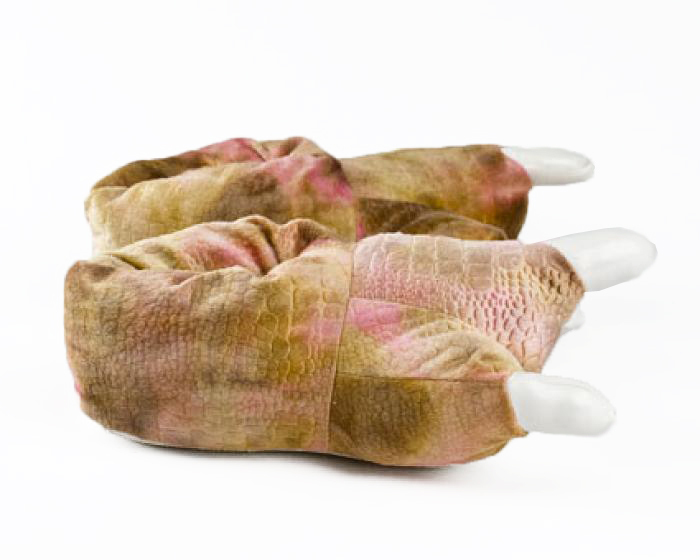 They make an ideal gift for the dino enthusiast in your life. They're exactly what they look like. 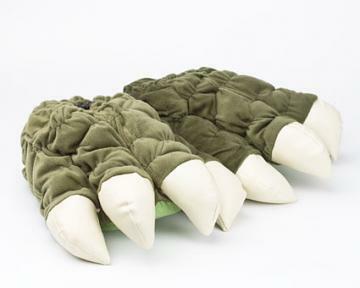 Dino feet slippers. They made my day when they arrived. They stay on my feet really well. 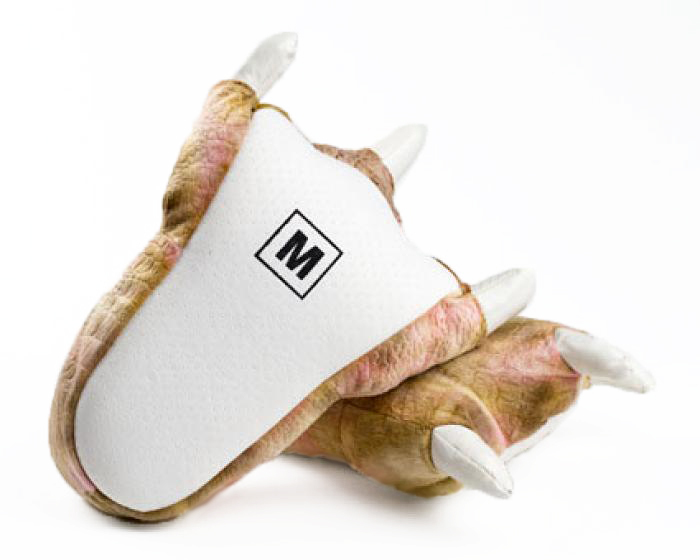 They aren't meant to be the warmest, but they provide a moderate amount of warmth. 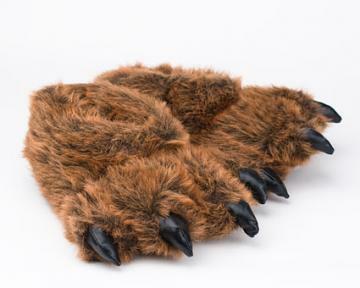 Enough that, as long as it's not freezing inside, they do keep my feet nice and toasty. Disadvantages: They aren't really designed for where I live, so there is a point where they aren't warm enough, but they would probably be more than warm enough for most places. They are a little wide because of the design, so they take a little getting used to at first. Nothing major though. 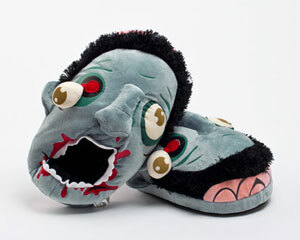 It's to be expected when you buy slippers like this. Bought these as a gift for my husband and he LOVES them. He never takes them off while at home! They look just like the picture and are very comfortable.